Youth 18 and under receive complimentary admission (GROUNDS ACCESS ONLY) with a ticketed adult. See the Junior ticket option on the Weekly Badges/Parking page to place your order. 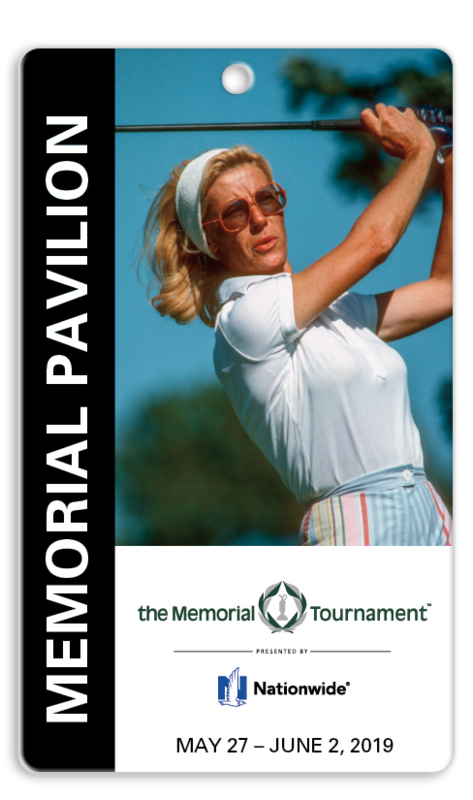 Receive a complimentary Practice Round Ticket set of three (3) for every weekly pass purchased. 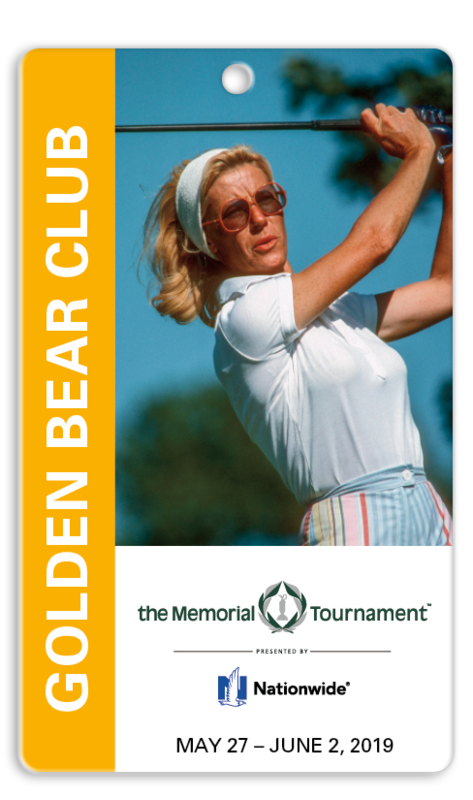 The Weekly Golden Bear Club Badge Pack of Ten includes the items below. Limited quantity available. The Weekly Golden Bear Club Badge Pack of Six includes the items below. Limited quantity available. The Weekly Pavilion Badge Pack of Ten includes the items below. Limited quantity available. Call (614) 889-6712 for more information. The Weekly Pavilion Badge Pack of Six includes the items below. Limited quantity available. The Weekly Patron Badge Pack of Ten includes the items below. The Weekly Patron Badge Pack of Six includes the items below. Valet Parking Service is available Wednesday – Sunday (pre-paid only), in the 19th Hole Lot located off of OH-745N/Dublin Road. Valet Parking Service is limited and sold separately each day. Entrance #6 is directly across the street from the 19th Hole Lot. Youth 18 & under receive complimentary admission (GROUNDS ACCESS ONLY) with a ticketed adult Monday - Sunday of Tournament week. Limit of four (4) youth per adult. 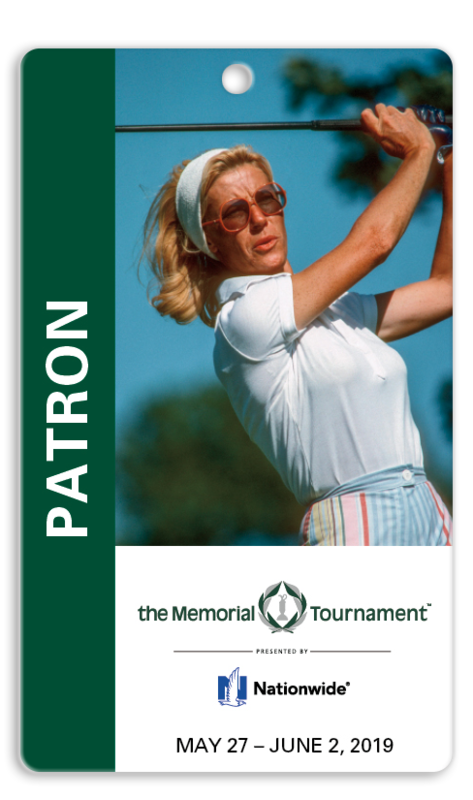 All International orders will be held for pickup at the Memorial Patron Will Call. Refunds - All sales are final. We regret there are no refunds. No exchanges or replacements for lost/stolen credentials or inclement weather. An Order Fee is added to each order based on total dollar amount of order placed. Open to all active duty, military reserve, Ohio National Guard, military retirees, veterans and spouse military (includes immediate family). Department of Defense issued ID required. Receive up to four (4) complimentary tickets for Military Appreciation Day. Offer valid only on 5/29/2019. Must present your voucher at the gate in exchange for a ticket. Your guest(s) must be with you when you enter the Tournament. Open to all active and retired First Responders, spouses and immediate family. First Responders include Federal, State, Local Law Enforcement and Fire/EMS. Receive up to four (4) complimentary tickets to Salute to Service Day. Must present your voucher and a valid First Responders issued ID at the gate in exchange for a ticket. Your guest(s) must be with you when you enter the Tournament. For added value, you may want to consider the . There are no items in your cart. Please select options to the left.